Along with the increasing demands for the companies to have good customer relations and to serve the needs of them, call centers became a booming industry. The main tool that call centers use is the predictive dialer. Predictive dialer is one that depicts the no. of agents of call centers available and it automatically dials telephone numbers from the database source. Then it distributes those calls to available agents. 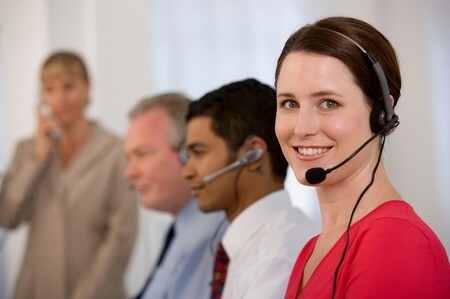 With the predictive tool, the call center agents will no more remain idle during shifts waiting for the calls to come. Following are some tips for guidance to get the better predictive dialer. Hosted Dialers: This doesn’t need purchase of any actual system but need to pay a company which hosts a system and these agents can access the systems remotely. The system can be accessed only through internet. The disadvantage is that the whole process gets affected if there is any disruption in internet connection. Software Dialer: It is an easy solution for small centers which has PABX phone system. Software needed is installed in and configured to directly connect with the PABX system. Old models of PABX may not be suited for Software Dialer. Hardware Dialer: It uses dedicated telephony board. If an agent wants shift, the dialer places the call to agents and keeps the line open and processes and assigns outbound and inbound calls to those agents. Smart Dialer: Calls are automatically placed and processed if the agents are available so that they will be conversing to actual persons. The dialer also plays automatically a default welcome message if there is any delay to attend the call by the agent. Automatic Dialing predicts available agents and automatically calls for the distribution to agents available to attend the call. The capability to monitor calls made and also the manner they are answered is by fax machine, answering machine or auto answering modes. Next is ability to unanswered calls, engaged lines and numbers, which was disconnected. The ability to generate reports on call details and results for dialers is to be noted. Predictive dialers must disconnect or give delay in distributing calls when the agents are unavailable or the dialer can play recorded greeting just to engage the dialer before an agent could attend the calls. Federal Trade Commission: Verify if the dialer bears the FTC directive on the display of Caller Identity (ID) and also for the no. of dropped calls made. The predictive dialer is an efficient solution which shortens the response time for the customer service needs. Make sure for the predictive dialer got can perform to company’s current services and allows for maintenance and also upgrades for the future.